"I could not be happier with the quality of the jewelry"
This jeweler take(s) customer service to the highest level. I could not be happier with the quality of the jewelry and the respect and courtesy with which I was treated. 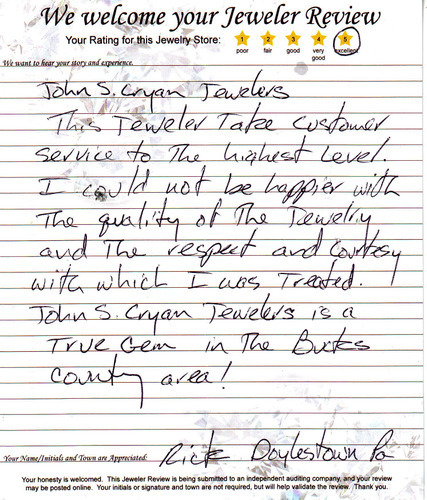 John S Cryan Jewelers is a true gem in the Bucks County area!